c. 1445 – May 17, 1510. Italian painter. 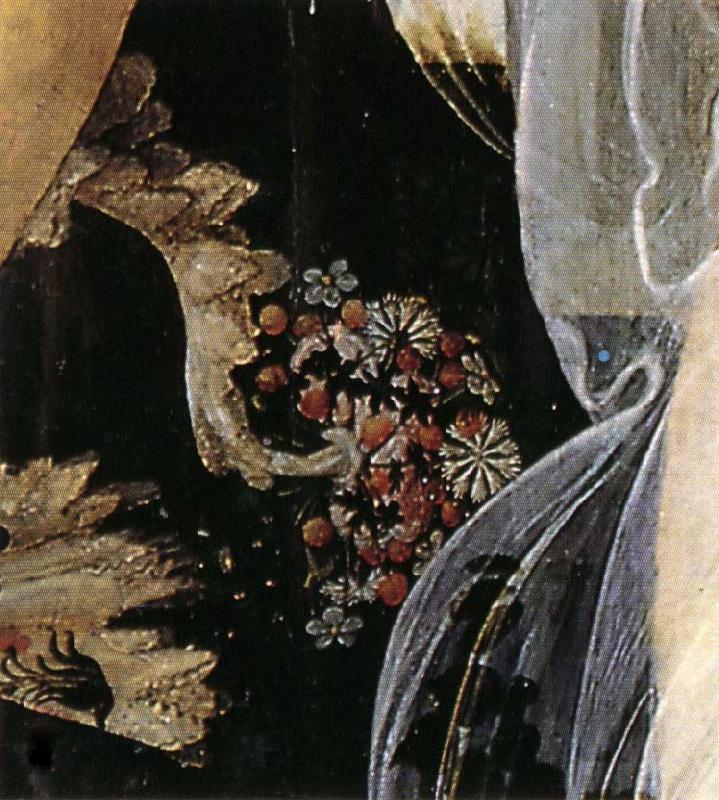 Sandro Botticelli.org, welcome & enjoy! Flemish Baroque Era Painter, 1593-1678 Jacob Jordeans was born on May 19, 1593, the first of eleven children, to the wealthy linen merchant Jacob Jordaens Sr. and Barbara van Wolschaten in Antwerp. Little is known about Jordaens's early education. It can be assumed that he received the advantages of the education usually provided for children of his social class. This assumption is supported by his clear handwriting, his competence in French and in his knowledge of mythology. Jordaens familiarity with biblical subjects is evident in his many religious paintings, and his personal interaction with the Bible was strengthened by his later conversion from Catholicism to Protestantism. Like Rubens, he studied under Adam van Noort, who was his only teacher. During this time Jordaens lived in Van Noort's house and became very close to the rest of the family. After eight years of training with Van Noort, he enrolled in the Guild of St. Luke as a "waterscilder", or watercolor artist. This medium was often used for preparing tapestry cartoons in the seventeenth century. although examples of his earliest watercolor works are no longer extant. In the same year as his entry into the guild, 1616, he married his teacher's eldest daughter, Anna Catharina van Noort, with whom he had three children. In 1618, Jordaens bought a house in Hoogstraat (the area in Antwerp that he grew up in). He would then later buy the adjoining house to expand his household and workspace in 1639, mimicking Rubens's house built two decades earlier. He lived and worked here until his death in 1678. Jordaens never made the traditional trip to Italy to study classical and Renaissance art. Despite this, he made many efforts to study prints or works of Italian masters available in northern Europe. For example, Jordaens is known to have studied Titian, Veronese, Caravaggio, and Bassano, either through prints, copies or originals (such as Caravaggio's Madonna of the Rosary). His work, however, betrays local traditions, especially the genre traditions of Pieter Bruegel the Elder, in honestly depicting Flemish life with authenticity and showing common people in the act of celebratory expressions of life. His commissions frequently came from wealthy local Flemish patrons and clergy, although later in his career he worked for courts and governments across Europe. Besides a large output of monumental oil paintings he was a prolific tapestry designer, a career that reflects his early training as a "watercolor" painter. Jordaens' importance can also be seen by his number of pupils; the Guild of St. Luke records fifteen official pupils from 1621 to 1667, but six others were recorded as pupils in court documents and not the Guild records, so it is probable that he had more students than officially recorded. Among them were his cousin and his son Jacob. Like Rubens and other artists at that time, Jordaens' studio relied on his assistants and pupils in the production of his paintings. Not many of these pupils went on to fame themselves,however a position in Jordaens's studio was highly desirable for young artists from across Europe. British Painter, 1855-1939 was a war artist and engraver, author, printmaker and illustrator. Menpes was born at Port Adelaide on 22 February 1855, the second son of property developer James Menpes, who with his wife, Ann, had settled in Australia in 1839. Educated at a private school, he attended classes at the Adelaide school of design, but his formal art training began at the South Kensington School of Art in 1878, after his family had moved back to England in 1875. Edward Poynter was a fellow student at the school. Menpes first exhibited at a Royal Academy exhibition in 1880. Over the following 20 years 35 of his paintings and etchings appeared at the Academy. He set off on a sketching tour of Brittany in 1880 and thereby met James McNeill Whistler, becoming his pupil and at one stage sharing a flat with him at Cheyne Walk on the Embankment in London. Here he was taught etching by Whistler, whose influence, together with that of Japanese design, is evident in his later work. His 1887 trip to Japan led to his first one-man exhibition at Dowdeswell's Gallery (1878-1912) in London. Menpes bought a property at 25 Cadogan Gardens in Sloane Square in 1888 and decorated it in the Japanese style. Whistler and Menpes quarreled in 1888 over the interior design of the house, which Whistler felt was a brazen copying of his own ideas. The house was sold in 1900, and Menpes retired to Kent. In 1900, after the outbreak of the Boer War, Menpes was sent to South Africa as a war artist for the weekly Black and White. With the war's end in 1902 he travelled widely, visiting Burma, Egypt, France, India, Italy, Japan, Kashmir, Mexico, Morocco, and Spain and producing illustrated books of those countries. His book on the Delhi Darbar of illustrated Curzon's grand spectacle of 1903. He married Rosa Mary Grosse in London in 1875. She too, was from Australia and died 23 August 1936. They produced a son, Mortimer James (b. 1879) and two daughters, Rose Maud Goodwin and Dorothy Whistler. Dorothy, Whistler's godchild, married a Mr. Flower and died in Minehead in July 1973 aged 89.